This edition of MRM's News Bites features Subway, Pump Hospitality Group, Restaurant Revolution Technologies, Inc. and Punchh, Dunkin', PAR and Open Dining, Velas Resorts, Coevál Studio, The Austin Chapter of Les Dames d’Escoffier and Reader's Digest and Yassin's Falafel House. Subway is one of the first QSRs to partner with four of the largest third-party delivery providers. Guests can order their favorite footlongs and salads from more than 9,000 Subways at Subway.com/Delivers. "Delivery is more than just giving our guests a way to order the sandwiches they want," says Michael Lang, Subway's Senior Director of Global Convenience. "We want to connect with consumers and give them the convenience of choice, whether it's in a customized, made-to-order sandwich or in how they get their meals. Amazing partners like DoorDash, Grubhub, Postmates, and Uber Eats give us the opportunity to reach guests wherever they are and whenever they get a Subway craving." A private investor syndicate, Pump Hospitality Group. led by Scott Bonikowsky and Jaysen Steeves aquired the Pump group of restaurants, comprised of five premium casual restaurants deeply entrenched in the communities they serve in Port Credit, Clarkson, Erin Mills and Burlington. 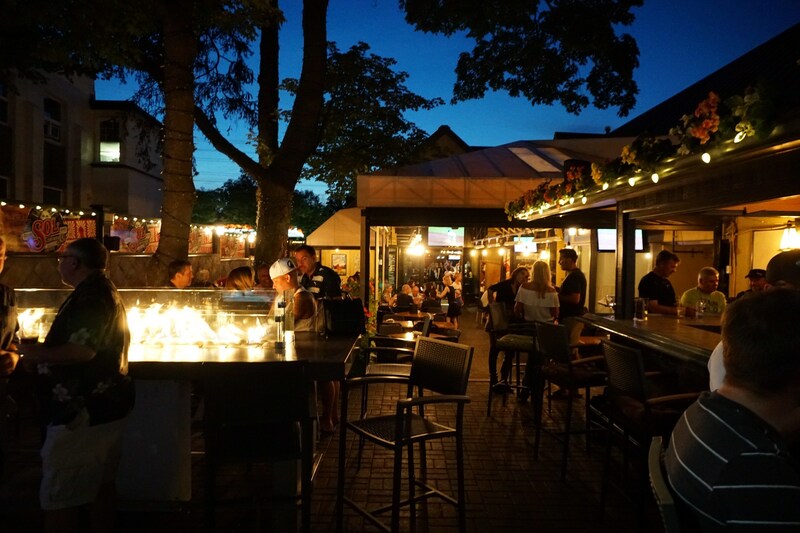 The group's restaurants include Port Credit Pump House Grille Co., Clarkson Pump & Patio, Erin Mills Pump & Patio, Pump on Brant, and Papa Giuseppe's. "Pump restaurants have established a tremendous reputation as the 'go to' restaurant and bar destinations in their neighbourhoods with the promise of good food, good friends and good times," said Jaysen Steeves, Owner and Chief Operating Officer. "We are thrilled to be working with the Pump team to build on the great business and success they have created over the past 25 years." "Restaurants in the Pump portfolio are known for creating lasting memories and experiences by connecting people through exceptional cuisine, great hospitality and a fun and dynamic social environment. We are focused on creating the next generation of memories for the communities we serve and building on the Pump's great track record," said Scott Bonikowsky, Owner and Chief Commercial Officer. Restaurant Revolution Technologies, Inc. partnered with Punchh, to help streamline mobile ordering for restaurants. Capturingcustomer data for a comprehensive look at all ordering channels and necessary data to drive revenue and make crucial business decisions. Group ordering capabilities to have a group order managed, submitted and paid for by a singlepayer or multiple payers. On the heels of Dunkin' Donuts® Coffee At Home announcing the newly constructed Home That Runs on Dunkin' in New York City, the tiny home will be listed on Airbnb* – giving fans the opportunity to enjoy an extended stay with a two-night rental. The Home That Runs on Dunkin' is a fully-functional tiny home powered by spent coffee grounds, top photo. The tiny home is powered by a biofuel blend of 80-percent coffee oil extracted from coffee grounds. Coffee lovers across the country can log on to Airbnb.com to rent the Home That Runs on Dunkin' for a two-night stay in Nahant, Massachusetts. The tiny home will be available to rent for a limited time only, with the first stay beginning October 16 and the last on October 26. "The Home That Runs on Dunkin' brought the brand's slogan, America Runs on Dunkin', to a whole new level," said Tina Meyer-Hawkes, Vice President, Coffee Marketing, The J.M. Smucker Company. "But we wanted to go even further and give fans from across the country the opportunity to enjoy all the tiny home has to offer, with a two-night rental." The Home That Runs on Dunkin' features a modern, chic aesthetic with custom-designed elements, including a fully-functional kitchen, luxury bedroom, jacuzzi tub and more. The tiny home is powered by a biofuel blend, using 80 percent coffee oil extracted from spent coffee grounds. It is also fully equipped with a drip coffee brewer, Keurig® coffee maker and plenty of Dunkin' coffee to keep guests running. DThe tiny home is available to rent for two nights for $10.00 per night (plus Airbnb fees and applicable taxes). ParTech Inc. (PAR) is partnering with Open Dining, an online ordering solution. Open Dining is designed for restaurant customers to boost revenues and profitability through web, mobile, and social ordering. Around the core ordering solution, Open Dining provides a suite of integrated tools to drive customer acquisition, retention, and engagement. This technology partnership will allow PAR’s cloud-based Brink POS® software to seamlessly connect with Open Dining’s online ordering solution and push orders directly into the Brink POS system, instead of having to enter orders manually. To connect guests with local Mexican tradition and culture, Velas Resorts in Los Cabos, Riviera Maya, Riviera Nayarit and Puerto Vallarta are now offering storytelling dinners. In addition to the dishes themselves having a story, wait staff will tell guests narratives about the region throughout the dining experience. In the Riviera Maya, special artisanal dinner plates made by indigenous peoples will showcase the dishes and at Casa Velas the dinner will be held in an art gallery. At Grand Velas Riviera Maya, the Yucatecan Chaka and Frida, its gourmet Mexican restaurant, will immerse guests in the history of these cultures through food and drink. Chef Laura Avalos at Chaka has designed a special menu based on a Mayan tale of two warrior brothers, Kinich and Tizic, and the woman they fall in love with, Nicté-Há. At Frida, Chef Ricardo de la Vega will avail guests of stories about Frida’s wedding to Diego and her famed artwork, with dishes inspired by each. The dishes will be served on artisanal ceramic plates made by indigenous people of Chiapas, Oaxaca and Jalisco. Also sold in the hotel’s boutique, they’re made from authentic techniques that have been handed down over generations. Grand Velas Riviera Nayarit, guests will enjoy a special menu with food from the Nayarit region on its beachfront. Menu highlights include San Blas-style fish ceviche; Jalisco-style stewed beef birria; and creamy coconut tart with mango-jackfruit gelato. The dining area will be decorated with some of the traditional menu ingredients such as blue corn and different kind of chiles. A Huichol artisan will be creating traditional handicrafts during the dinner. Guests dining at Grand Velas Los Cabos at Frida will experience a menu that is as colorful as her paintings. Pre-Hispanic foods honor Mexico’s culture and gastronomy, including quintoniles (Mexican greens), escamoles (ant caviar) and corn. According to ancient Mexicans, corn is considered to be the basis for the creation of humans and a fundamental element of the indigenous peoples, making it an important part of the menu. Drinks served during dinner will based on Frida’s Mexican spirits she served at her house in Coyoacan in Mexico City, including raicilla, tequila and mezcal. Guests staying at Casa Velas, an adults-only boutique hotel in Puerto Vallarta, can learn about the Huichol culture through dinners at the Colectika art gallery in downtown Puerto Vallarta. While sipping a Tejuino, a typical drink from the region, dinner begins with a painting activity. Following, throughout the three-course dinner, guests will learn more about the Huichol culture and community from experts on the Huichol people. The storytelling dinners are included complimentary at the Grand Velas resorts. The cost for the Storytelling Dinner at Casa Velas is $450 plus service per person inclusive of transportation from the hotel to the gallery. Coevál Studio, a Dallas based multidisciplinary branding, architecture and interior design firm, has brought on Pierre Trevino as Food and Beverage Innovation Chef. In his new role, Trevino will oversee menu development and kitchen training for Coevál Studio food & beverage projects. Coevál is the first architecture and interior design firm in Dallas, Texas, to offer a full-time, in-house chef for menu development. Trevino will work within his own test kitchen in Coevál Studio, and will also work on-site to train cooks, form recipes and build menus upon a concept’s opening. Prior to Coevál Studio, Trevino supported some of Dallas’ most loved restaurants and kitchens, immersing himself in a wide range of cuisines and cultures. He also consulted on notable Coevál projects including Americado, the Spanish tapas inspired La Zona, and the new upcoming concept Le Bon Temps: French Fried Beignets. The Austin Chapter of Les Dames d’Escoffier, an international organization of women leaders in the food, fine beverage and hospitality industries who create a supportive culture in their communities, gave away $15,000 in scholarship money at their annual En Garde event on Thursday, September 20. The organization awards scholarships annually to culinary students to pursue their dreams, and this year, they decided to expand the applications for current professionals seeking development opportunities. The winners of this year’s scholarships for current culinary students and “Beyond the Classroom” stipends for professionals in the industry are Jocelyn Jerils (Auguste Escoffier School of Culinary Arts), Amelia Sweethardt (Fundamentals of Artisan Cheese in Vermont), Ali Schmidt (Court of Master Sommelier Advanced Exam), Gaby Kraml (Spanish Language (Nutrition) Classes), Lauren Busch (Introductory Sommelier Exam) and Tara Chapman (The Art in Queen Rearing Course in Washington). Jocelyn spent most of her life in California and Oregon until she fell in love with Austin a couple of years ago. She has always had a strong passion for food and had the desire to go to school. She applied to Auguste Escoffier School of Culinary Arts and has been a student since April. She discovered Springdale Farm and Eden East that same month and knew they were where she could work and learn. Witnessing the full cycle of our food from seed to plate is something very special, and she feels grateful to be a part of it. On this culinary journey, she has been greatly inspired by all of the strong, successful females she has encountered and looks forward to both her future, and learning and growing every day in the present. Amelia Sweethardt grew up on the Pure Luck Farm and still lives within view of her goats and dairy in the small town of Dripping Springs, TX. She has 20 years of cheesemaking experience, runs Pure Luck’s daily operations, and manages a dairy herd of about one hundred Nubian and Alpine goats. Pure Luck's handmade farmstead cheeses have been recognized by the American Cheese Society with national awards and are available in Austin and Houston. Ali Schmidt is a Certified Sommelier and a native Austinite. She fell in love with wine over a glass of Tokaji and the mysterious aromas of botrytis. This curiosity led her to a career in Wine and Hospitality. Her restaurant career in Austin began with four years at Uchiko followed by a Captain and Sommelier role at Jeffrey's. Since 2017 she has held her dream job as Manager and Wine Director at Emmer & Rye. Gaby is a Registered Dietitian with a focus on community nutrition and food security. She has lived all over the Midwest, but found her home in Texas. Her passion is teaching people that healthy eating on a budget is possible and can be delicious. She is using her LDEI scholarship to take Conversational and Medical Spanish classes to help her pursue a career in community nutrition and food access in Austin, Texas. Lauren is a native Austinite who is a recent Texas State graduate with hopes to complete her Introductory Sommelier course before the end of the year. She has a propensity for learning and travelling, and finds joy in exploring new places and their cultures. Using her hospitality experience and knowledge of wine, Lauren expects to establish a career working and learning with fellow women in the industry. Tara Chapman is the founder and owner of Two Hives Honey. After almost ten years working for the U.S. government in intelligence and oversight in Pakistan and Afghanistan, she took a chance beekeeping class and fell in love with the bees. Six months later she quit her job to work for a beekeeper rearing queen bees during the spring season, and shortly thereafter started Two Hives Honey, a full–service beekeeping and honey business. Reader's Digest named Yassin's Falafel House in Knoxville, Tennessee the winner of its second annual search for the "Nicest Places in America," a national crowd-sourced effort to shine a light on places where people are kind and treat each other with respect. Founded by Yassin Terou, a Syrian refugee who came to the U.S. in 2011, Yassin's Falafel House has become a pillar of the Knoxville community, and a place where people of all faiths, preferences and political persuasions come together to share meals. Yassin's is a "safe place" for "all types," signs around the restaurant proudly declare. "In just a few years, Yassin's has become a hub of welcoming and charity that bridges all potential divides, and Yassin Terou is an inspiration to us all," said Bruce Kelley, Reader's Digest editor-in-chief. "Who would have thought a falafel restaurant would be the rallying point for kindness in not just Knoxville but the nation? But it is. When Yassin arrived as a dislocated refugee and built something that represented how much he has to give to his new community, Knoxville returned his investment with respect, trust and love." The "Nicest Places in America" program is Reader's Digest's response to the current climate of cultural and political divide. In May 2018, ABC's "Good Morning America" joined Reader's Digest in crowdsourcing online submissions from places large and small across the nation, with co-anchor Robin Roberts serving as the lead judge and appearing with Terou on a bonus cover of the November issue. "On the surface, if someone said, 'Here's an immigrant, refugee, Muslim who is not only accepted but embraced in Knoxville, Tennessee,' people would look at you sideways," says Roberts. "But having been there and seen for myself the pure joy, I want Yassin's and the other finalists to be little seeds to plant around the country that let everybody know: Nice is not weak. Nice is not a four-letter word." This year's nationwide search received nearly 450 submissions with representation across all of the continental U.S.